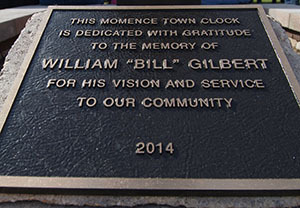 On this day, Oct 19th 2014, the City of Momence dedicates this Momence Town Clock to the memory of William "Bill" Gilbert. Bill will long be remembered for his many contributions to Momence. 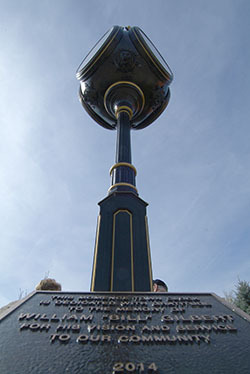 It was his dedication and fundraising efforts that made this landmark clock a reality. 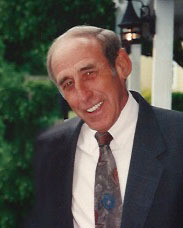 A life long resident, he cared deeply for his family, friends and community. Momence is a better place because of Bill Gilbert. 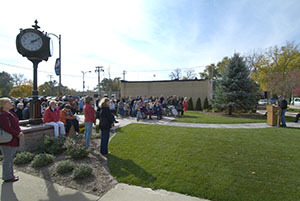 It is fitting that this town clock, Bill's vision and his accomplishment, be dedicated as a memorial to him. 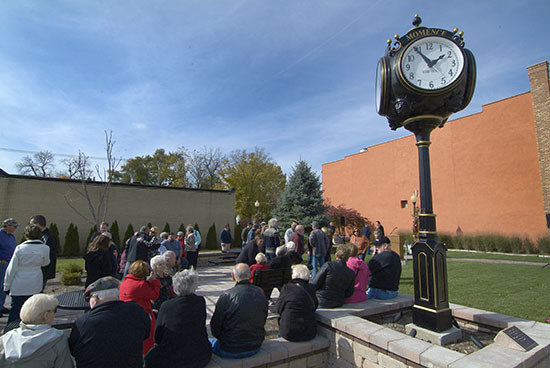 In addition, on behalf of the City of Momence, I would like to express my gratitude to all those who made financial contributions to the clock tower fund. 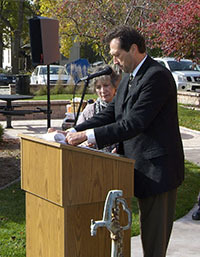 I would also like to thank the four committee members, chosen by Bill Gilbert, who helped make this project a reality. 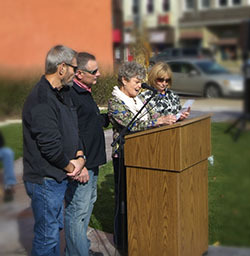 Because of the efforts of Paul Bradley, David Cook, Ann Dionne and Gene Miller, Bill's vision was carried forward and brought to fruition. Thank you to all.